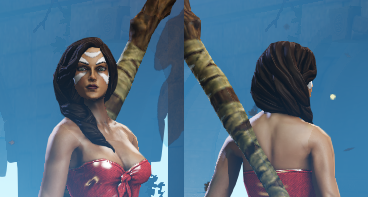 Do whatever you want with this mod. 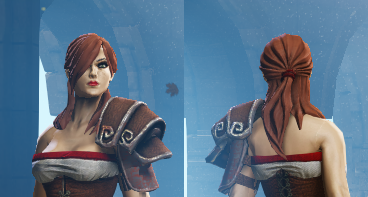 A number of people have asked about a certain custom haircut I used in screenshots of some of my mods, so I've decided to upload my personal hair replacement set. 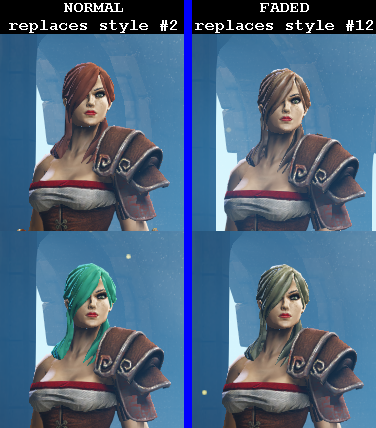 It replaces hairstyle 2, 3, and 12 with a 2 of the companions styles (one is split into 2 shader map versions, the original that comes out faded and a custom made version that better works with the haircolor sets). - Includes a separate folder for hairstyle so you can pick which ones you wish to use. - This mod cannot be toggled on/off from the mod menu, due to Divinity not currently supporting true stand alone mods that overwrite existing content. It functions like an overwrite of the main module.